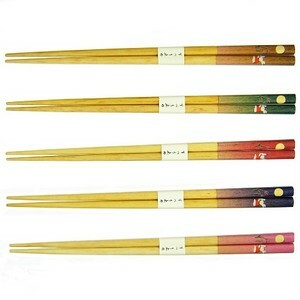 5 pairs of chopsticks with rabbit design. Roughened ends to make easier gripping of food. Made in Japan. Hand wash only.